Sublimely linking traditional and modern design aesthetics as part of the exclusive Wyndham Collection Designer Series by Christopher Grubb, the Acclaim Vanity is at home in almost every bathroom decor. This solid oak vanity blends the simple lines of traditional design with modern elements like square undermount sinks and brushed chrome hardware, resulting in a timeless piece of bathroom furniture. The Acclaim is available with a White Carrera or Ivory marble counter, porcelain sinks, and matching mirrors. Featuring soft close door hinges and drawer glides, you'll never hear a noisy door again! Meticulously finished with brushed chrome hardware, the attention to detail on this beautiful vanity is second to none and is sure to be envy of your friends and neighbours! Sheffield 36-Inch Vanity Cabinet in Espresso Distinctive styling and elegant lines come together to form a complete range of modern classics in the Sheffield Bathroom Vanity collection. Inspired by well established American standards and crafted without compromise, these vanities are designed to complement any decor, from traditional to minimalist modern. Available in multiple sizes and finishes. 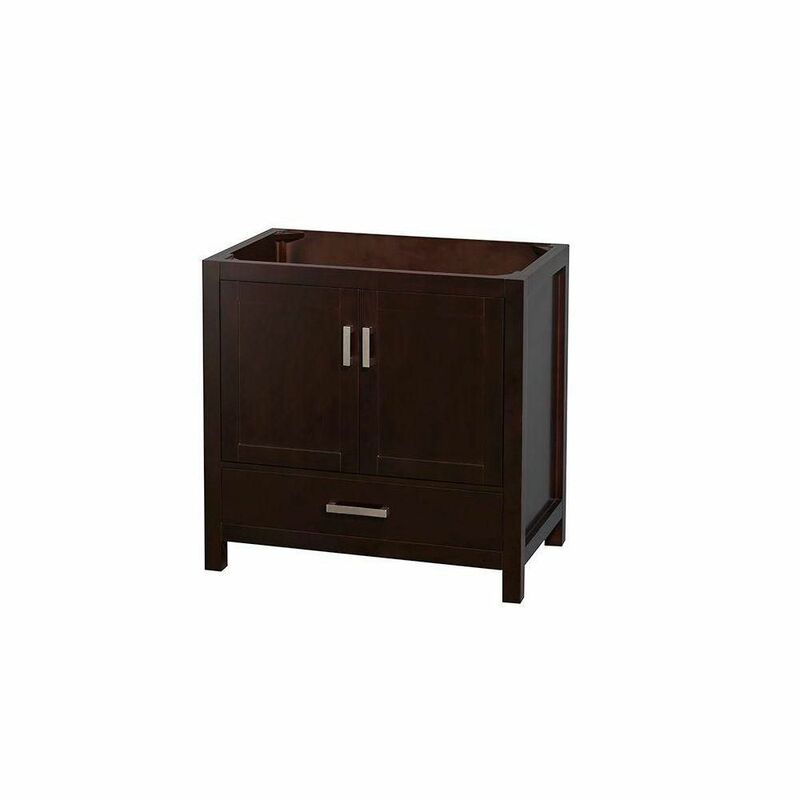 Sheffield 36-Inch Vanity Cabinet in Espresso is rated 5.0 out of 5 by 1. Rated 5 out of 5 by Ceiriog51 from Nice Vanity A little pricey, but well built and looks great. Nice features like self-closing doors and drawer. Specified dimensions were accurate and marble top fit nicely.